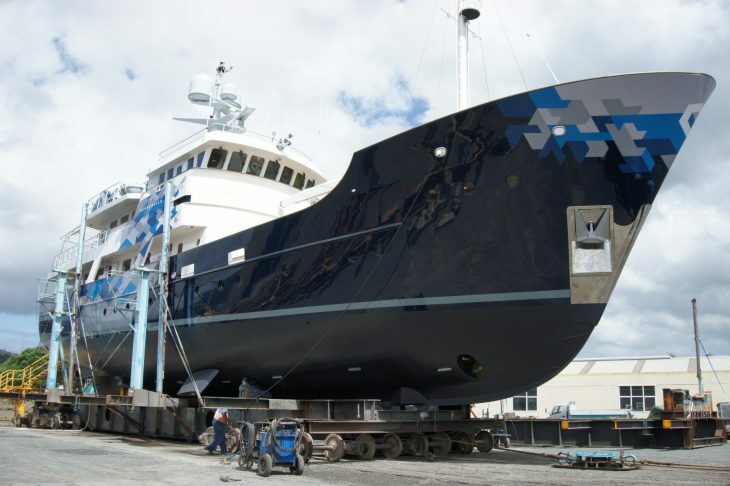 Oceania Marine’s summer Superyacht refit season typically runs from November to May and its premier refit shed at North Shipyard is booked out for the whole season with back to back projects. First up was 37m Superyacht MY Dardanella which is a Vitters built explorer type yacht. This project ran from November to mid January during which time she had major repainting, new teak decks, engineering and interior works completed. 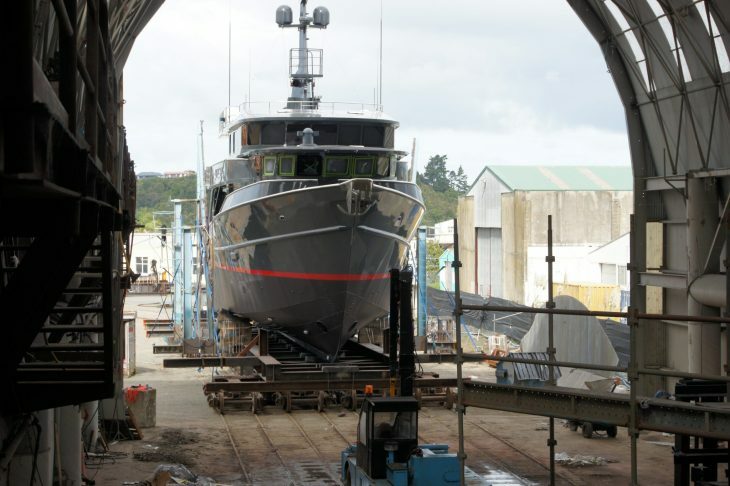 Next up was 26m MV Pacific HQ, a well known charter vessel in the SW Pacific specialising in big game fishing. This project ran from mid January to the end of March and involved extensive works the major ones being an exterior re-paint and replacement of the two generators. The latter task was complicated by the new sets being bigger machines and having to convert the exhaust from dry to wet. 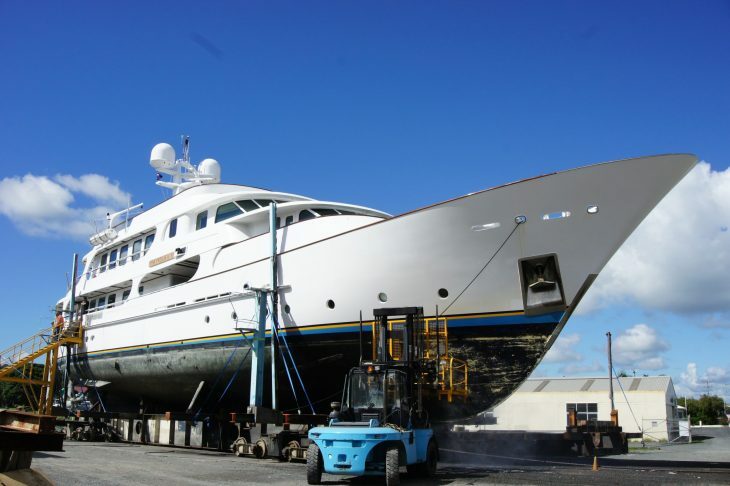 Following is the 45m Superyacht Pamela V which has just hauled out and will be in the shipyard until the end of May. She is a classic Hakvoort yacht and the project will cover major external paint works, engineering and Lloyd’s inspection. All these projects occupied Refit Shed A with its dedicated crew facilities and associated workshops. Simultaneously, other projects were completed on the hardstand and at Oceania Marine’s South Shipyard.